The Articles product is even more powerful if you have Inbox. 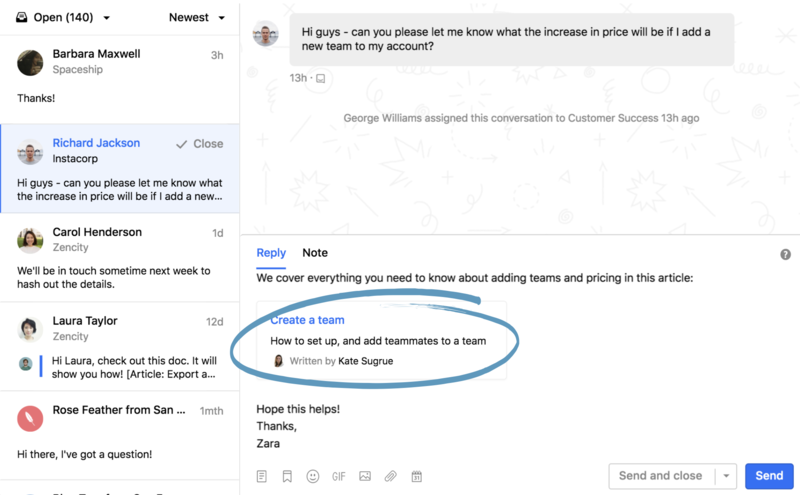 You and your team can add articles to conversations to answer your customers’ questions faster. Over time, Operator learns which articles offer the best answers to each question, and we’ll recommend the most accurate ones for you to send. When a customer asks a question, their message will arrive in your inbox, where you can add an article directly to the conversation to resolve their query quicker. Just click the article icon and search for the article you’d like to add. Then go ahead and ‘Add’ it. Your article will be inserted into the conversation, where you can add additional context to your message before sending it. Then when you send your article, your customer will see a preview of it where they can scan the title and context, before reading it. Once they click the preview, it expands to show the full article, so they can read it in context. Note: Your customers can react to articles directly from the lightbox so you can gather rich feedback. 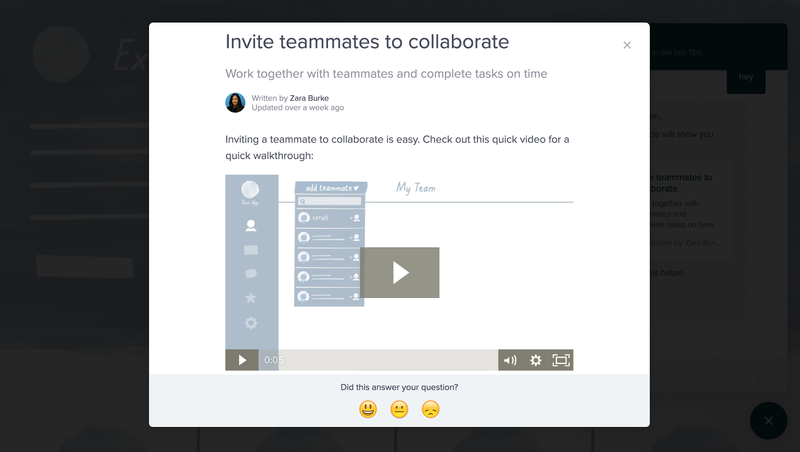 Operator leaves unanswered questions open, ready for your team to reply. 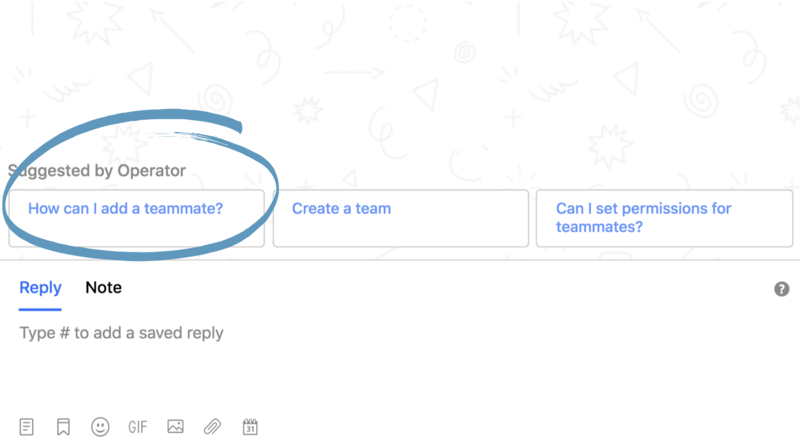 It suggests articles to your teammates in the team inbox that offer the best answers to each question. Note: Smart inbox suggestions are available in English only, with Articles and Inbox. Initially, Operator will suggest articles based on keywords found in each conversation. 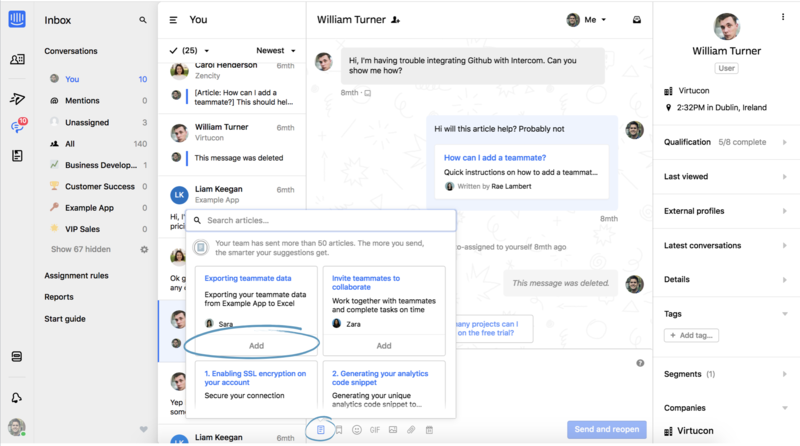 But it gets smarter over time, learning from your team’s conversation data. The more articles you send, the better your suggestions get. Use the words your customers are searching for in your articles. When a customer gets in touch, you should send them a relevant article in your first reply to them. If they send you a second message before you reply Intercom won’t learn from this. Review your customer conversations to ensure you write relevant help articles. Write plenty of short articles that address your customers’ most common questions. 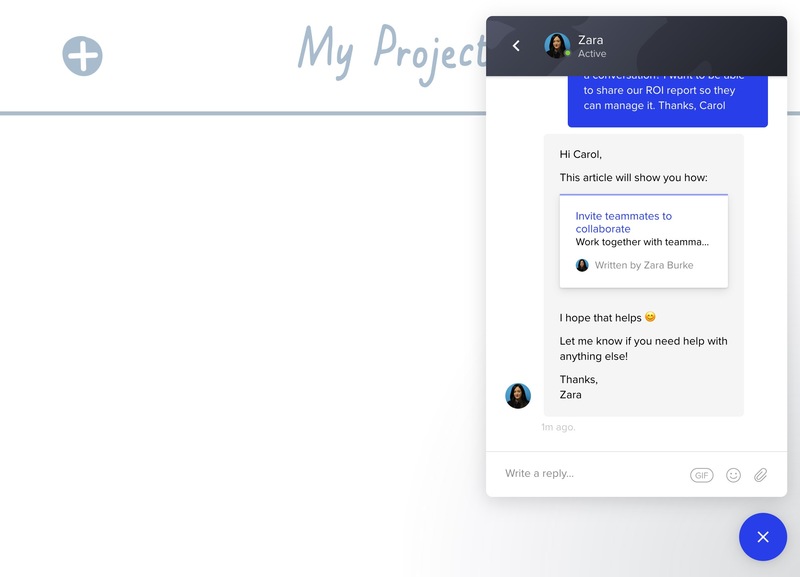 Every time you send an article to a customer from the team inbox, Intercom starts learning which articles offer the best answers to each question. In time, we’ll automatically suggest the most accurate articles to add to a conversation when a customer asks a new question. Learn how Operator automatically suggests relevant articles to users in the Messenger.